Comhghairdeas mór to the first year students in Ms. O’Leary’s Irish class who took part in a Tráth an gCeist. 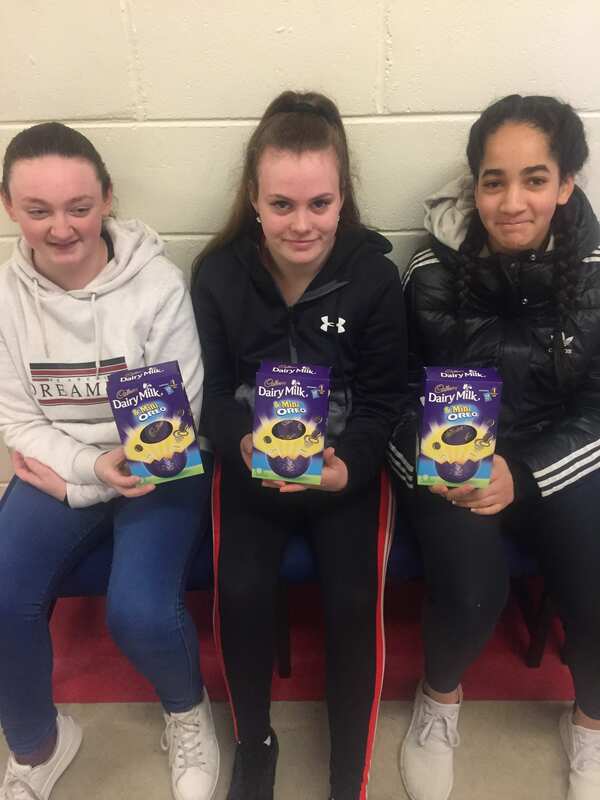 The winners were Alannah Heaslip, Nora O’Brien, and Iona Collins. Second place went to Leah Fitzpatrick, Patrick Ó’Grady, Josh Dore and Jan Fasicka. 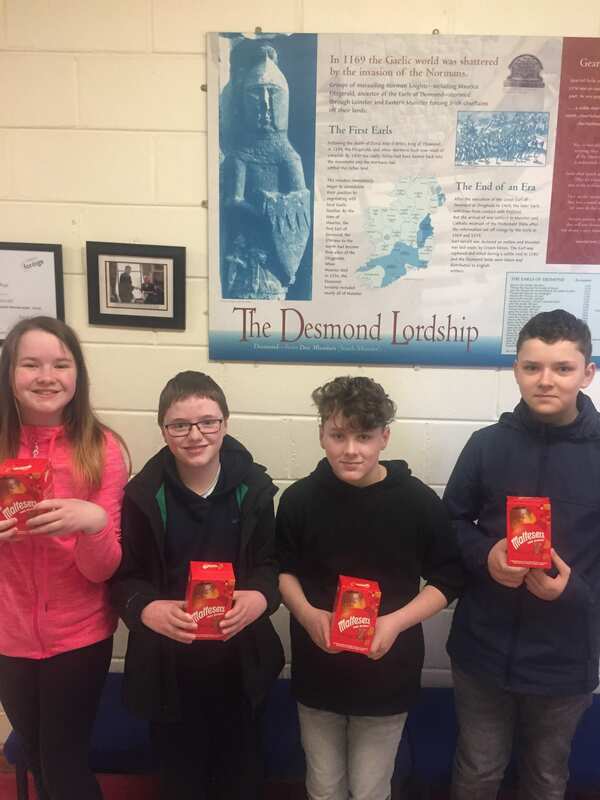 Second place in the Tráth an gCeist in Ms. O’Leary’s class Leah Fitzpatrick, Patrick Ó’Grady, Josh Dore, and Jan Fasicka.